Ever dream of importing alcoholic beverages into the U.S.? It’s a very lucrative business that can yield huge profits, but it can also be very complicated. Importing is the act of bringing Beer, Wine or Distilled Spirits (aka hard liquor) from another country into the United States, usually for the purposes of re-sale. The act of importing alcohol is regulated because liquor is a controlled substance. Therefore, this business requires Federal, State, and even County, City, or Village licenses. While transporting product from one State in the U.S. to another can also be considered importing, most import licenses cover the importing of product from a foreign country. For example, an import permit would be necessary for a company bringing Vodka from Russia into Texas, while a different license type would be necessary to bring Vodka from Texas into New York. In order to be able to bring alcoholic drinks from another country into the United States, you need a Permit from the Federal Government and/or the State where you will do business. Each State has different license requirements and these are usually governed by that States’ individual ABC laws (also known as Alcoholic Beverage Control or Commission Laws). In most cases you need BOTH Federal and State licenses to do business. First, you must have a company such as a Corporation, Limited Liability Company, or Sole Proprietorship registered to business in the United States. After having a company set up, you must have a physical location within the United States such as an office for books and records. Location requirements are very specific depending on the State where you will do business, so it is important to know the requirements for your specific situation before investing money into a location. Call one of the experts today for more details on the requirements to become a licensed importer. There are a few ways to do business as an importer. First you may choose to go into a contract with an already licensed importer. In this situation, a United States licensed importing company would handle a large part of business operations. This can be a great way to start business if you do not want to be very involved in the day to day operations. However, it is important to note that you would still require your own permits to follow Federal and State Laws, but also to keep control of your beer, wine, or liquor. The second way to do business as an importer is to obtain your own importer’s permit. In this situation, your company would conduct all importing, and in some cases transporting of the beer, wine or liquor. Separate transportation permits may be required depending on your specific situation. A third way to do business as an importer is to combine your importer permit with a wholesaler permit. This option will provide you the most flexibility because it will allow your company to import alcohol into the United States, and also allow you to sell the alcohol to other wholesalers and to re-sellers such as bars, restaurants, liquor stores, supermarkets, and others. 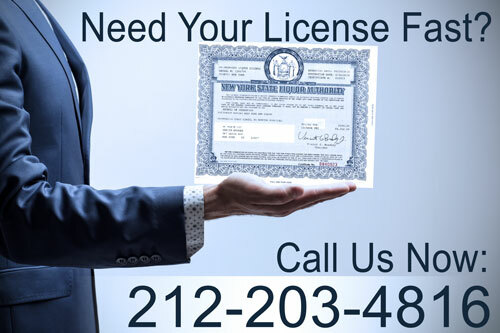 To see which method of operation is best for you and your business, call one of our license specialist today. Choosing the right license from the start, can set you up for success in the importing and/or wholesaling business.